When you need plumbing service, you want the best plumber to make repairs at your home or business. When looking for the best Leesburg plumber keep several factors in mind. Speed and price are important, but consider the business’s history, professionalism, expertise, and determination. Ross Plumbing has several decades of experience. Professionalism makes us the best plumber in Leesburg. Here is some of what we think makes us the best. When a pipe breaks or your toilet stops flushing, you don’t have a lot of time to research Leesburg plumbing companies. You need somebody there as soon as possible. Plumbing problems often occur at the worst possible time. You need service to get things back to normal. Plumbing issues often cause damage and always cause frustration. The best Leesburg plumber is one who can get there fast, get the job done efficiently and for a fair price. Ross Plumbing offers same or next day service, fair prices, and won’t leave until you’re satisfied with the work. Our staff of highly trained technicians reduces your wait time and addresses your plumbing needs quickly. The best plumbers in Leesburg have all their paperwork in order, are properly licensed and carry the proper insurance. We at Ross Plumbing carry the correct licenses and insurance. Protect yourself against frustration by always hiring a licensed, insured contractor. Not merely a legal certification, licensing is proof of proper education, training, and skills. A licensed plumber is also accountable to the state as well as to you. This adds a level of oversight. Insurance covers any property damage or physical injuries that may occur when a plumber in Leesburg is working in your home or business. You can trust the quality of work done by a licensed, insured Ross Plumbing. Ross Plumbing is a family owned business, proudly serving Leesburg and communities throughout Lake, Sumter, and southern Marion Counties. We’ve been here for nearly 40 years. When researching Leesburg plumbing services, you want a plumbing company that values its customers and their communities. Ross Plumbing brings professional service, fair prices and respect for their customers to every job we do. Why Go with the Experienced Professional Plumbers in Leesburg? If you have home repair skills or experience, making minor repairs can be tempting. However, this tends to lead to more problems than it solves. An abundance of do-it-yourself books and online videos don’t make up for years of professional experience and certified training. When facing plumbing issues, trust a professional to get it right and to make sure the job is done properly. Remember, plumbing is more than just leaky pipes. It’s also water heaters (including the advanced tankless types), gas lines, sewer lines, slab leaks, and other water issues. Improper repair can be far costlier to your business or residence than hiring a pro to handle it right the first time. When you need the best Leesburg plumbers, Ross Plumbing is a clear choice. We are plumbing experts providing service for both commercial and private properties. We service a wide assortment of plumbing issues from the simple to the highly complex. Plumbers in Leesburg deal with the highly technical repairs their competitors are afraid to touch. No matter what your needs, contact the leading Plumber in Leesburg today for professional assistance working with you every step of the way. A: Typically, we can service any home or business within 30 minutes of downtown Leesburg, and are the most reputable of Leesburg plumbers. 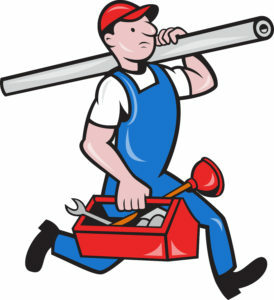 Q: Do your plumbers in Leesburg work after hours and on weekends? A: Yes. We do work on an emergency basis, or a scheduled appointment can be made for an additional fee. 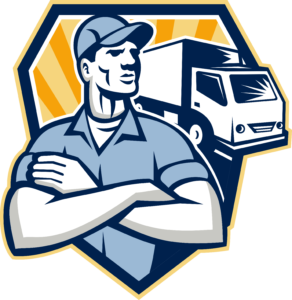 After hours, our top priority is to stop any further damage from being done to your property. Many times, shutting off a valve and waiting until morning can stop your leaks and save you a great deal of money on both after hour repairs and protect your property from any water damage. Q: Do you provide financing for repairs? A: Yes. We can provide financing on a case by case basis. Please call us today so we can help you with your urgent plumbing situation. Q: Do you service water heaters? A: Absolutely. We service all makes and models of water heaters (i.e. residential, commercial, tankless, etc.) With our many decades of experience in the industry, you would be hard pressed to find Leesburg plumbers who are better prepared to deal with your water heater problems. Q: Does the plumber in Leesburg have a showroom? A: At this time, we do not have a showroom. With today’s internet use most people are finding exactly what they are looking for via the web first. If you are planning to choose Ross Plumbing to do your job, and want some advice on picking out hardware, fixtures, water heaters, etc. please feel free to give us a call. A: Yes! We offer free estimates by appointment only. Ross Plumbing; The leader among Leesburg plumbers.